Inspiring this generation to live, move and BE! What is MOVEMENT 2 BE? We are a non profit organization dedicated to encouraging this generation to live, move and be through fun, interactive body education training with the goal to establish healthy, movement focused habits for life. Currently looking for new Movement Specialists for our NYC Programs. NY Giants Player Paul Perkins speaks to youth on the importance of MOVEMENT and health to be who they're made to be. 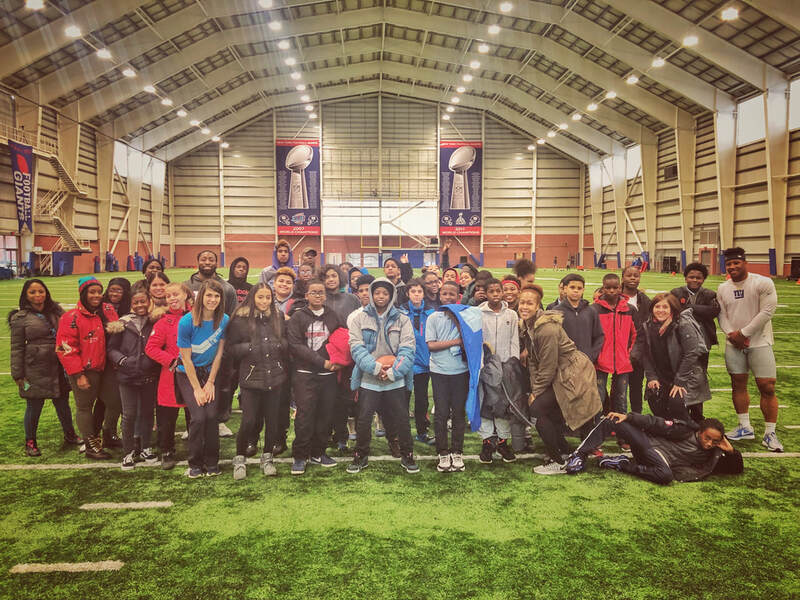 Youth who have been participating in MOVEMENT2BE this semester, received a great opportunity on Friday Dec 14th in which they were able to experience friendly competition with player Paul Perkins. From push ups, to squats, to mobility exercises, ladder drills and sprints, these youth received inspiration from this 3rd year Giants player. Thank you to all who made this amazing event take place! © MOVEMENT 2 BE. 2018. ALL RIGHTS RESERVED.